On his first visit to Corinth, Paul founded the church and stayed a year and six months (Acts 18:11). His second visit was a brief, painful visit in between the writing of 1 Corinthians and 2 Corinthians. Now he is prepared to come for a third time. (and as the Scriptures say, “The facts of every case must be established by the testimony of two or three witnesses”). 2 I have already warned those who had been sinning when I was there on my second visit. Now I again warn them and all others, just as I did before, that next time I will not spare them. 3 I will give you all the proof you want that Christ speaks through me. 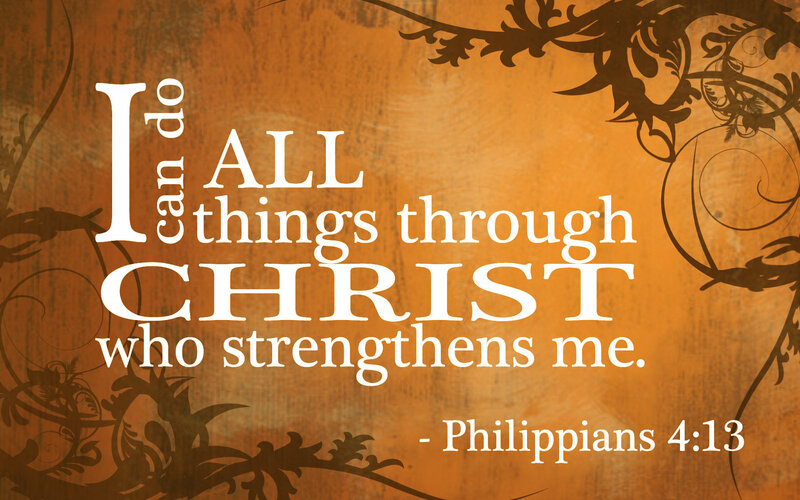 Christ is not weak when he deals with you; he is powerful among you. 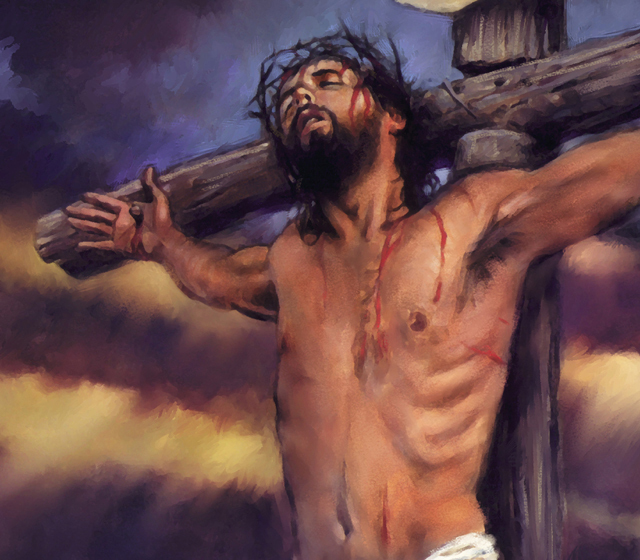 4 Although he was crucified in weakness, he now lives by the power of God. 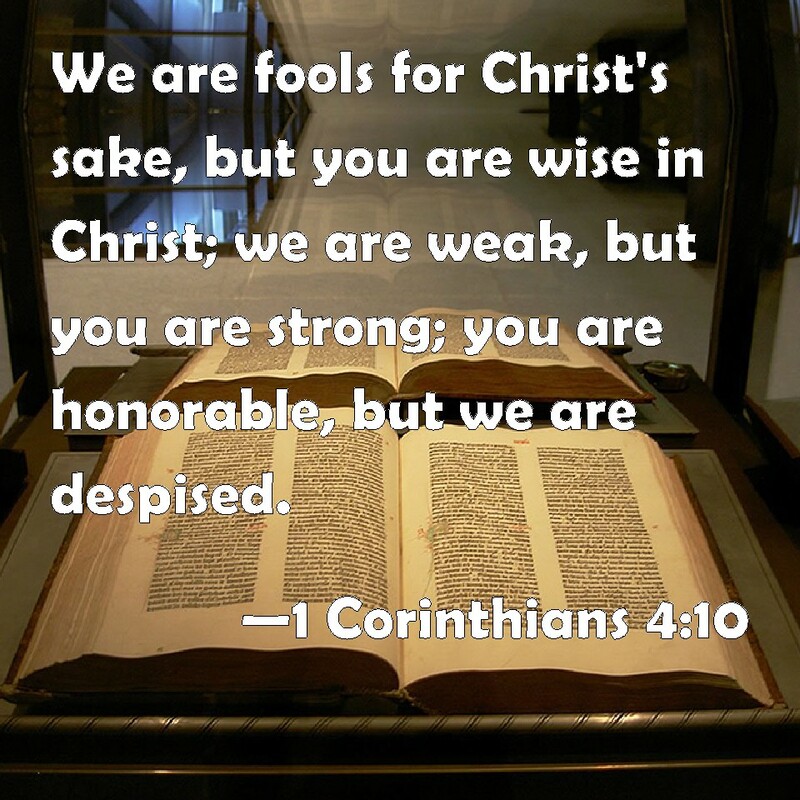 We, too, are weak, just as Christ was, but when we deal with you we will be alive with him and will have God’s power. 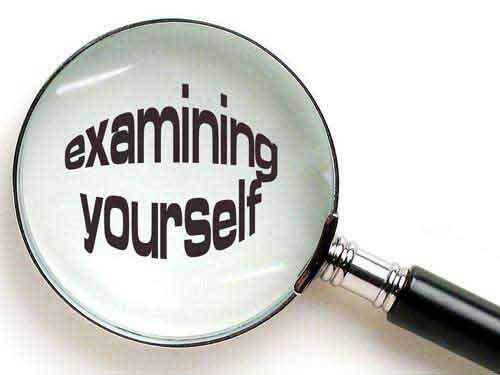 5 Examine yourselves to see if your faith is genuine. Test yourselves. Surely you know that Jesus Christ is among you; if not, you have failed the test of genuine faith. 6 As you test yourselves, I hope you will recognize that we have not failed the test of apostolic authority. 7 We pray to God that you will not do what is wrong by refusing our correction. I hope we won’t need to demonstrate our authority when we arrive. Do the right thing before we come—even if that makes it look like we have failed to demonstrate our authority. 8 For we cannot oppose the truth, but must always stand for the truth. 9 We are glad to seem weak if it helps show that you are actually strong. We pray that you will become mature. 10 I am writing this to you before I come, hoping that I won’t need to deal severely with you when I do come. For I want to use the authority the Lord has given me to strengthen you, not to tear you down. 11 Dear brothers and sisters, I close my letter with these last words: Be joyful. Grow to maturity. Encourage each other. Live in harmony and peace. Then the God of love and peace will be with you. 12 Greet each other with Christian love. 13 All of God’s people here send you their greetings. 14 May the grace of the Lord Jesus Christ, the love of God, and the fellowship of the Holy Spirit be with you all. This is the only place in the New Testament where the Father, the Son, and the Holy Spirit are mentioned together in this kind of blessing. 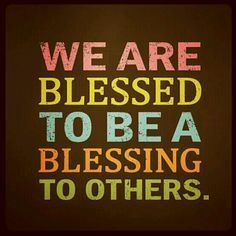 Paul wanted the Corinthian Christians to be completely blessed by everything God is. Bianco di Santi, also known as Bianco da Siena, was an Italian mystic who died in Venice in 1399. He left several religious poems, one of which is the lovely “Come Down, O Love Divine,” HERE sung by Fernando Ortega. The words of the hymn speak to several of the themes we have found in 2 Corinthians, particularly the cry of Paul’s heart for the true repentance and genuine faith of the Corinthians. Let this song be our prayer, too. This boasting will do no good, but I must go on. I will reluctantly tell about visions and revelations from the Lord. 2 I was caught up to the third heaven fourteen years ago. The third heaven doesn’t suggest different “levels” of heaven. Instead, Paul is using terminology common in that day, which referred to the “blue sky” as the first heaven, the “starry sky” as the second heaven, and the place where God lived and reigned as the third heaven. Whether I was in my body or out of my body, I don’t know—only God knows. 3 Yes, only God knows whether I was in my body or outside my body. But I do know 4 that I was caught up to paradise and heard things so astounding that they cannot be expressed in words, things no human is allowed to tell. So different from the “I’ve been to heaven and come back” accounts we read these days. This vision happened fourteen years ago, and still Paul is reluctant to speak of it. No breathless descriptions of what he saw or heard — just that it was beyond telling. But clearly the vision was given to Paul in order to strengthen and sustain him for the trials of ministry ahead. 5 That experience is worth boasting about, but I’m not going to do it. I will boast only about my weaknesses. 6 If I wanted to boast, I would be no fool in doing so, because I would be telling the truth. But I won’t do it, because I don’t want anyone to give me credit beyond what they can see in my life or hear in my message, 7 even though I have received such wonderful revelations from God. So to keep me from becoming proud, I was given a thorn in my flesh, a messenger from Satan to torment me and keep me from becoming proud. 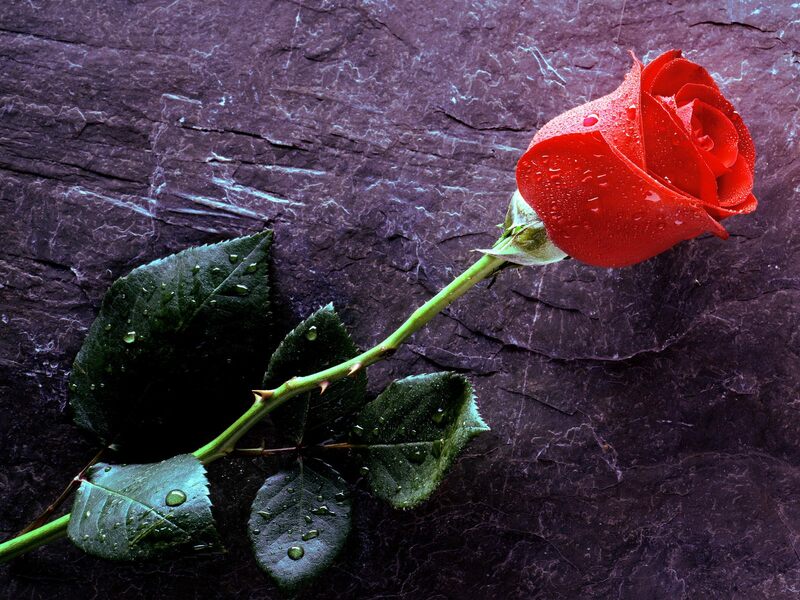 Who would have nothing to do with thorns must never attempt to gather flowers. 8 Three different times I begged the Lord to take it away. When his passionate and repeated plea was not answered, it must have concerned Paul. It added another dimension to this trial. It had a physical dimension, in that it was a thorn in the flesh. It had a mental dimension, in that it was a messenger of Satan. It had a spiritual dimension, in that it was an unanswered prayer. I reached home and looked it up in the original, and at last it came to me in this way: “MY grace is sufficient for you.” And I said, “I should think it is, Lord,” and burst out laughing. The truth seemed to make unbelief so absurd. Be great believers! Little faith will bring your souls to heaven, but great faith will bring heaven to your souls. 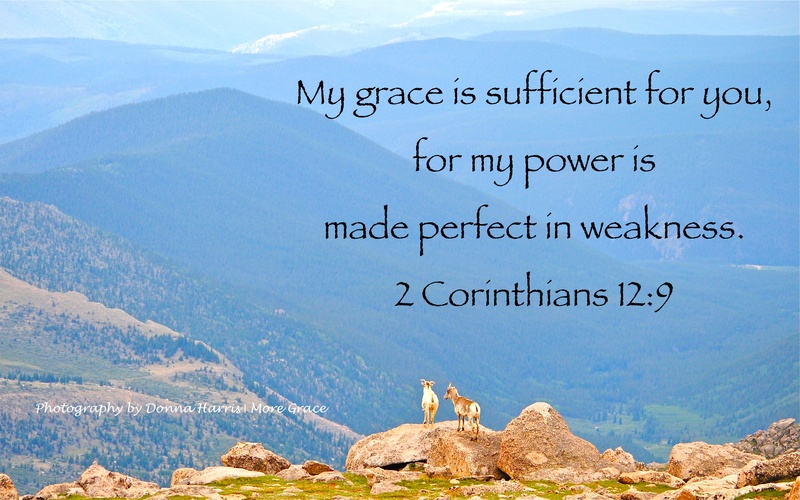 So now I am glad to boast about my weaknesses, so that the power of Christ can work through me. 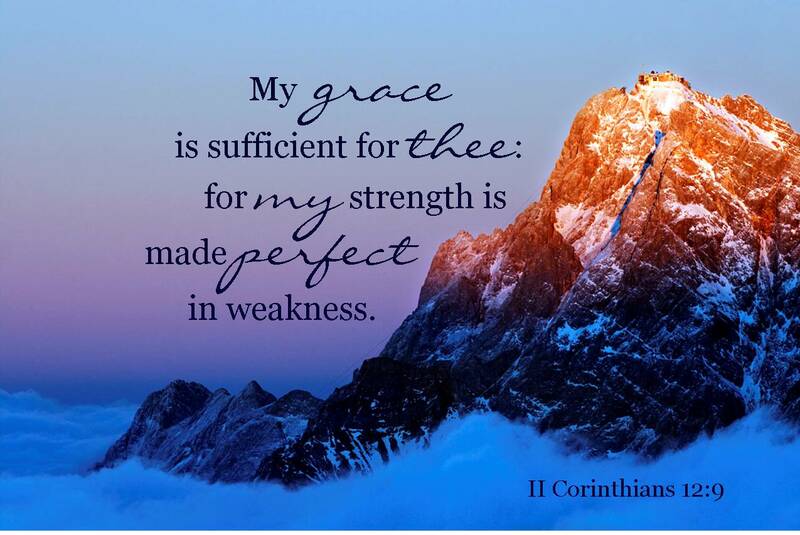 10 That’s why I take pleasure in my weaknesses, and in the insults, hardships, persecutions, and troubles that I suffer for Christ. For when I am weak, then I am strong. 11 You have made me act like a fool—boasting like this. You ought to be writing commendations for me, for I am not at all inferior to these “super apostles,” even though I am nothing at all. 12 When I was with you, I certainly gave you proof that I am an apostle. For I patiently did many signs and wonders and miracles among you. 13 The only thing I failed to do, which I do in the other churches, was to become a financial burden to you. Please forgive me for this wrong! 14 Now I am coming to you for the third time, and I will not be a burden to you. I don’t want what you have—I want you. This is the testimony of every godly minister. They do not serve for what they can get from God’s people but for what they can give to God’s people. They are shepherds, not hirelings. This is the heart of Jesus towards us. We often think that what God really wants is what we have; but He really wants us. Jesus selflessly seeks our good, and His heart is for us, not for what He can “get” from us. After all, children don’t provide for their parents. Rather, parents provide for their children. 15 I will gladly spend myself and all I have for you, even though it seems that the more I love you, the less you love me. 16 Some of you admit I was not a burden to you. But others still think I was sneaky and took advantage of you by trickery. 17 But how? Did any of the men I sent to you take advantage of you? 18 When I urged Titus to visit you and sent our other brother with him, did Titus take advantage of you? No! For we have the same spirit and walk in each other’s steps, doing things the same way. 19 Perhaps you think we’re saying these things just to defend ourselves. No, we tell you this as Christ’s servants, and with God as our witness. 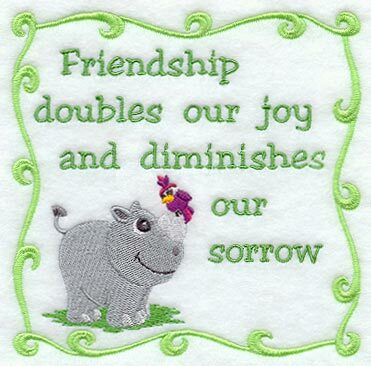 Everything we do, dear friends, is to strengthen you. 20 For I am afraid that when I come I won’t like what I find, and you won’t like my response. I am afraid that I will find quarreling, jealousy, anger, selfishness, slander, gossip, arrogance, and disorderly behavior. 21 Yes, I am afraid that when I come again, God will humble me in your presence. And I will be grieved because many of you have not given up your old sins. You have not repented of your impurity, sexual immorality, and eagerness for lustful pleasure. It is one thing to sin by accident. It is another to sin by design. Paul is speaking to the Corinthians — and to us — when we choose to indulge in sin, holding on to things that ought to be dismissed in obedience to Jesus. 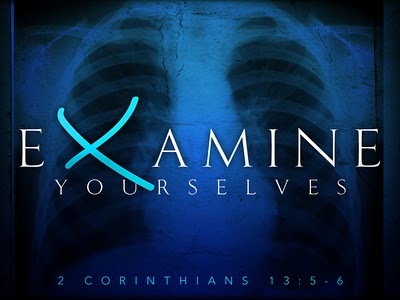 Let us examine our lives for what is displeasing to the Lord, repent, confess, be forgiven, and then made new in Christ! Chris Tomlin and the wonderful promise of this chapter — “Your Grace Is Enough.” HERE. I hope you will put up with a little more of my foolishness. Please bear with me. 2 For I am jealous for you with the jealousy of God himself. I promised you as a pure bride to one husband—Christ. 3 But I fear that somehow your pure and undivided devotion to Christ will be corrupted, just as Eve was deceived by the cunning ways of the serpent. 4 You happily put up with whatever anyone tells you, even if they preach a different Jesus than the one we preach, or a different kind of Spirit than the one you received, or a different kind of gospel than the one you believed. 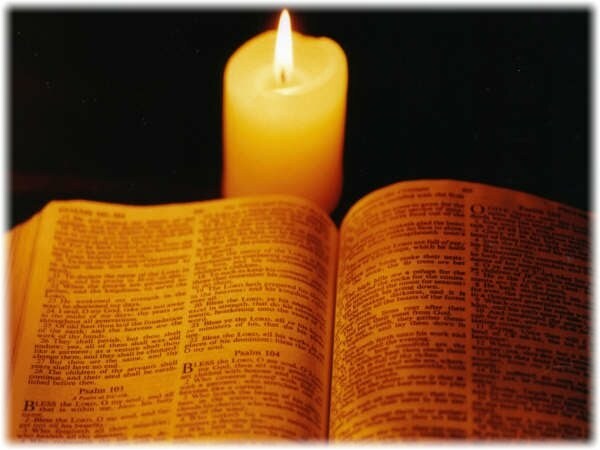 I believe that the best way to keep to the true Jesus and true Spirit is to keep our hearts and minds in the Word of God, especially in the Gospels. Once I heard a pastor say that he read a chapter of Matthew, Mark, Luke, or John every day, in order to keep Jesus in front of him. Whatever it takes to keep me from “happily putting up with” falsehoods on matters of eternal significance! 5 But I don’t consider myself inferior in any way to these “super apostles” who teach such things. 6 I may be unskilled as a speaker, but I’m not lacking in knowledge. We have made this clear to you in every possible way. 7 Was I wrong when I humbled myself and honored you by preaching God’s Good News to you without expecting anything in return? 8 I “robbed” other churches by accepting their contributions so I could serve you at no cost. 9 And when I was with you and didn’t have enough to live on, I did not become a financial burden to anyone. For the brothers who came from Macedonia brought me all that I needed. I have never been a burden to you, and I never will be. 10 As surely as the truth of Christ is in me, no one in all of Greece will ever stop me from boasting about this. 11 Why? Because I don’t love you? God knows that I do. 12 But I will continue doing what I have always done. This will undercut those who are looking for an opportunity to boast that their work is just like ours. 13 These people are false apostles. They are deceitful workers who disguise themselves as apostles of Christ. 14 But I am not surprised! Even Satan disguises himself as an angel of light. 15 So it is no wonder that his servants also disguise themselves as servants of righteousness. In the end they will get the punishment their wicked deeds deserve. Satan is commonly pictured today as a horned, evil-looking red creature with a tail. But such, of course, is far removed from the manner in which he presents himself to us. Others think of Satan in connection with a poor drunkard, wallowing in the gutter on Skid Row. But this, too, is a false impression of what Satan is really like. This verse tells us that he masquerades as an angel of light. Perhaps by way of illustration we might say he poses as a minister of the gospel, wearing the pulpit of a fashionable church. He uses religious words such as God, Jesus, and the Bible. But he deludes his hearers, teaching that salvation is by good works or by human merit. He does not preach redemption through the blood of Christ. 16 Again I say, don’t think that I am a fool to talk like this. But even if you do, listen to me, as you would to a foolish person, while I also boast a little. 17 Such boasting is not from the Lord, but I am acting like a fool. 18 And since others boast about their human achievements, I will, too. 19 After all, you think you are so wise, but you enjoy putting up with fools! 20 You put up with it when someone enslaves you, takes everything you have, takes advantage of you, takes control of everything, and slaps you in the face. 21 I’m ashamed to say that we’ve been too “weak” to do that! 30 If I must boast, I would rather boast about the things that show how weak I am. 31 God, the Father of our Lord Jesus, who is worthy of eternal praise, knows I am not lying. 32 When I was in Damascus, the governor under King Aretas kept guards at the city gates to catch me. 33 I had to be lowered in a basket through a window in the city wall to escape from him. Read the story HERE in Acts 9:19-25. Paul recounts for the Corinthians his first, and rather humiliating, experience of being persecuted (rather than persecuting others) for the sake of the gospel. It illustrates with power the contrast between Saul of Tarsus and Paul the Apostle. Saul of Tarsus traveled to Damascus full of man’s power and authority, directed against God’s people. 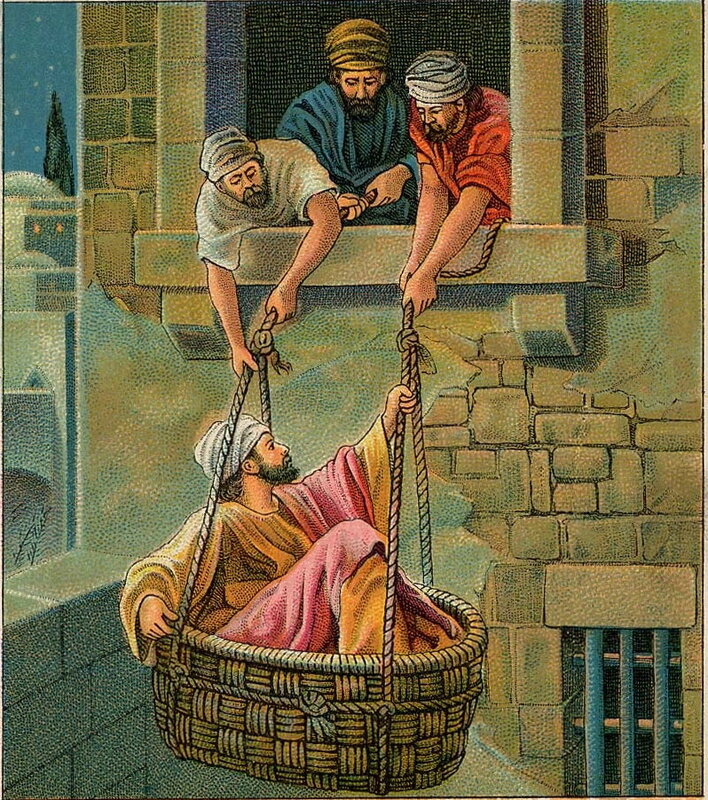 Paul the Apostle fled Damascus humbly in a basket for preaching the Good News of Jesus Christ. Now I, Paul, appeal to you with the gentleness and kindness of Christ—though I realize you think I am timid in person and bold only when I write from far away. 2 Well, I am begging you now so that when I come I won’t have to be bold with those who think we act from human motives. 3 We are human, but we don’t wage war as humans do. 4 We use God’s mighty weapons, not worldly weapons, to knock down the strongholds of human reasoning and to destroy false arguments. 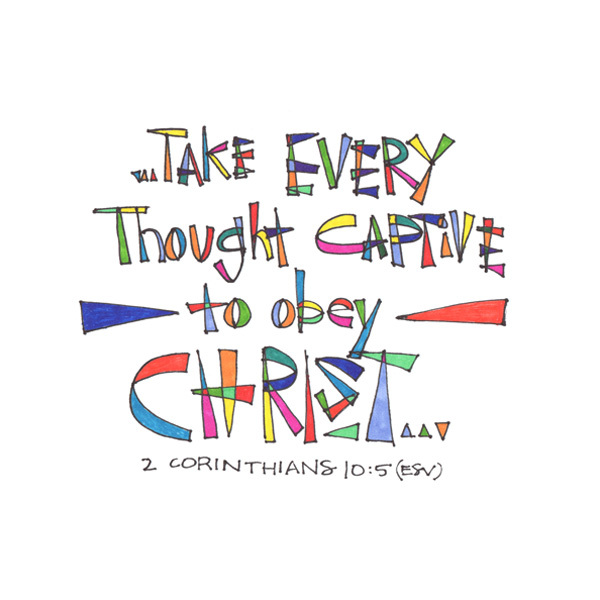 Christ counts evil thoughts as traitors not only to us, but also to Him. Like the psalmist, you may say, “I hate vain thought, not only because of the curse they bring to my heart, but for the grief they give to my King.” Their intrusion is forbidden by the double barrier of our own choice and the keeping power of Jesus. Let the peace of God keep the door of your heart and mind, scrutinizing each intruder and turning back the unfit. 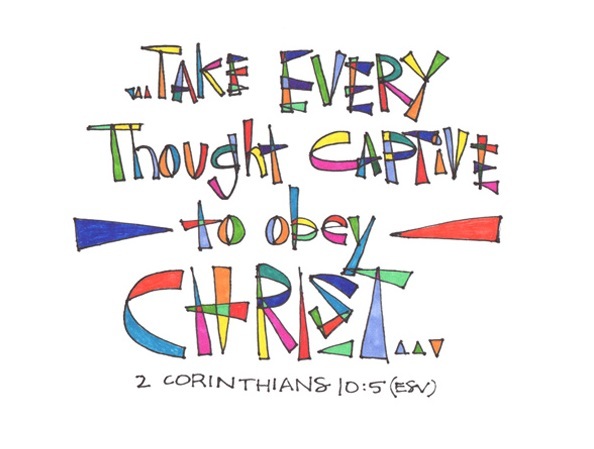 Let the Holy Spirit bring every thought into captivity to the obedience of Christ. 6 And after you have become fully obedient, we will punish everyone who remains disobedient. 7 Look at the obvious facts. Those who say they belong to Christ must recognize that we belong to Christ as much as they do. 8 I may seem to be boasting too much about the authority given to us by the Lord. But our authority builds you up; it doesn’t tear you down. So I will not be ashamed of using my authority. 9 I’m not trying to frighten you by my letters. 10 For some say, “Paul’s letters are demanding and forceful, but in person he is weak, and his speeches are worthless!” 11 Those people should realize that our actions when we arrive in person will be as forceful as what we say in our letters from far away. 12 Oh, don’t worry; we wouldn’t dare say that we are as wonderful as these other men who tell you how important they are! But they are only comparing themselves with each other, using themselves as the standard of measurement. How ignorant! 13 We will not boast about things done outside our area of authority. We will boast only about what has happened within the boundaries of the work God has given us, which includes our working with you. 14 We are not reaching beyond these boundaries when we claim authority over you, as if we had never visited you. For we were the first to travel all the way to Corinth with the Good News of Christ. The great thing about glorying in the LORD is that we can always do it. No one is so high that they cannot glory in the LORD. No one is so low that they cannot glory in the LORD. We can all glory in the LORD! 18 When people commend themselves, it doesn’t count for much. The important thing is for the Lord to commend them. From Jeremiah 9: This is what the LORD says: “Let not the wise man boast of his wisdom or the strong man boast of his strength or the rich man boast of his riches, but let him who boasts boast about this: that he understands and knows me, that I am the LORD, who exercises kindness, justice and righteousness on earth, for in these I delight,” declares the LORD. I really don’t need to write to you about this ministry of giving for the believers in Jerusalem. 2 For I know how eager you are to help, and I have been boasting to the churches in Macedonia that you in Greece were ready to send an offering a year ago. In fact, it was your enthusiasm that stirred up many of the Macedonian believers to begin giving. There may be some irony here. They had shown a willingness to participate in the collection for Jerusalem — yet why had they not actually sent a gift? Their intentions had inspired the Macedonians — yet what would the Macedonians think if they knew the Corinthians had, in fact, done nothing? So Paul reminds them, in positive language, to do what they said they would do. 3 But I am sending these brothers to be sure you really are ready, as I have been telling them, and that your money is all collected. I don’t want to be wrong in my boasting about you. 4 We would be embarrassed—not to mention your own embarrassment—if some Macedonian believers came with me and found that you weren’t ready after all I had told them! 5 So I thought I should send these brothers ahead of me to make sure the gift you promised is ready. But I want it to be a willing gift, not one given grudgingly. 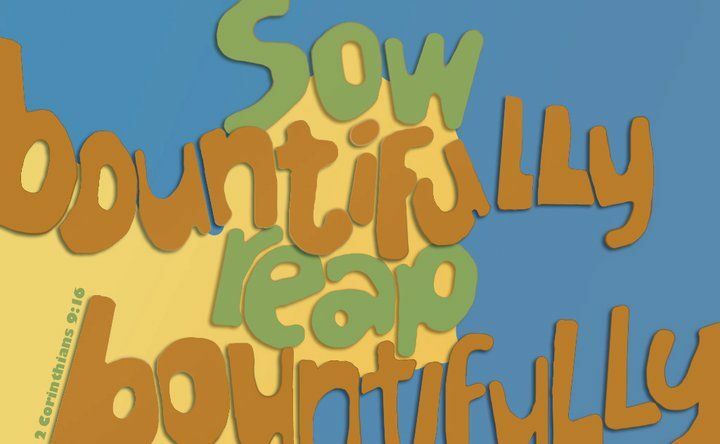 Instead of giving in a grudging way or out of necessity, God wants us to give cheerfully. The Greek word for cheerful (hilaros, used only here in the New Testament) is the root for our English word hilarious. God wants us to give happily, because that is how God Himself gives! No doubt you thank God often for what you receive. But when was the last time you thanked Him for what He has privileged you to give? When was the last time you went out of your way and dealt with the inconvenience of it all — to meet another’s need? The world is full of hurting people. Now is not the time to hoard the gift of the love of God in Jesus Christ! Privileged to give. 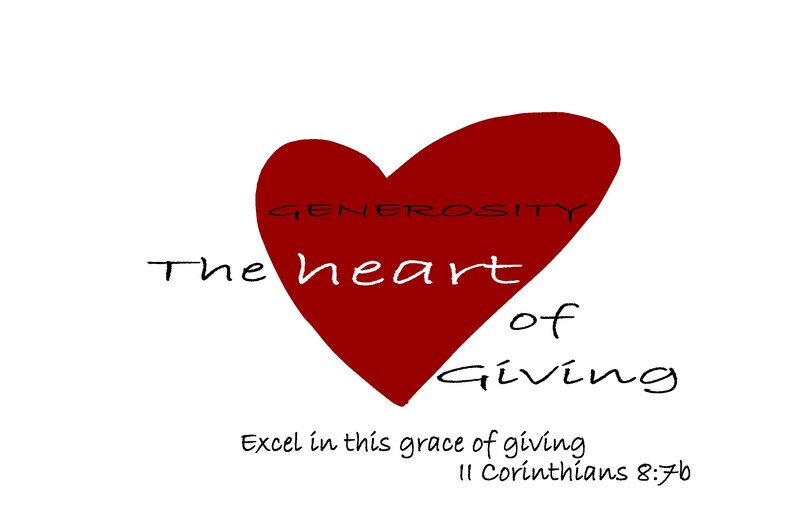 Lord, I want to have a generous heart! And may my giving yield eternal fruit in the kingdom of God! In chapters 8 and 9, Paul gives the most comprehensive treatment of Christian stewardship found anywhere in the New Testament. He appeals to the Corinthians to follow the example set by the churches in Macedonia in generous, sacrificial giving—a reasonable response to God’s indescribable gift of His Son. Now I want you to know, dear brothers and sisters, what God in his kindness has done through the churches in Macedonia. 2 They are being tested by many troubles, and they are very poor. But they are also filled with abundant joy, which has overflowed in rich generosity. The northern part of Greece was called Macedonia. The southern part was called Achaia, and the city of Corinth was in the region of Achaia. Paul is writing about the example he sees in the churches of Macedonia, in cities such as Philippi, Thessalonica, and Berea. Why was Paul writing about giving at all? What was he collecting money for? Paul was raising money to help the Christians in Jerusalem, who were very poor. He had previously mentioned this effort in 1 Corinthians 16:1-4. 3 For I can testify that they gave not only what they could afford, but far more. And they did it of their own free will. 4 They begged us again and again for the privilege of sharing in the gift for the believers in Jerusalem. 5 They even did more than we had hoped, for their first action was to give themselves to the Lord and to us, just as God wanted them to do. 6 So we have urged Titus, who encouraged your giving in the first place, to return to you and encourage you to finish this ministry of giving. 7 Since you excel in so many ways—in your faith, your gifted speakers, your knowledge, your enthusiasm, and your love from us—I want you to excel also in this gracious act of giving. The rich young ruler (Mark 10:17-22) retained his hoard but lost his soul. 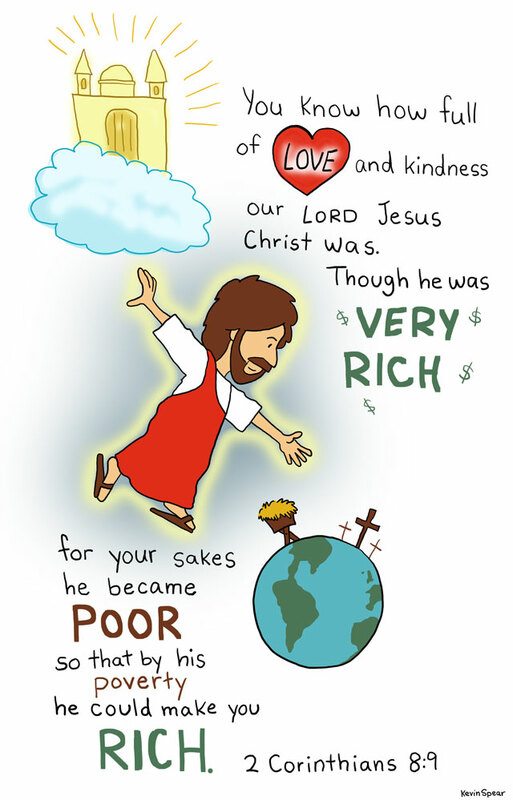 The small man Zacchaeus (Luke 19:1-10) gave away his wealth and found in return eternal riches. “Give, and it will be given to you,” Jesus promised (Luke 6:38). And who should know more about such things than the Giver of every good and perfect gift (James 1:17)! Paul draws upon the example of God providing manna for the Israelites in the wilderness; click HERE to read about it in Exodus 16. 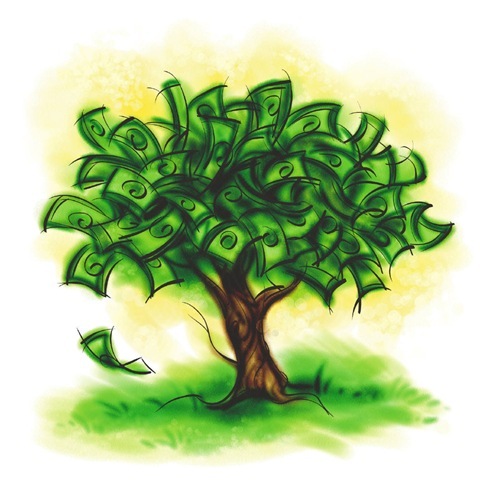 Wealth, like manna, is the gift of God. It is spread by His hand around us every day. Some are able to gather much more than others. By their skill, health, diligence, or by providential arrangements, they are eminently successful. Others are sick, aged, unskilled, and less successful. All that is obtained is by the arrangement of God. The health, the strength, the skill, the wisdom by which we are enabled to obtain wealth, are all His gift. Honestly obtained wealth should be regarded as His bounty, and we should esteem it a privilege daily to impart to others less favored and less successful. To continue the analogy, manna—if kept more than a single day—became foul and loathsome. Does not wealth that should have been distributed to relieve the wants of others become corrupting in its nature? Wealth, like manna, should be employed in the service which God designs—employed to diffuse everywhere the blessings of religion, comfort, and peace. 16 But thank God! He has given Titus the same enthusiasm for you that I have. 17 Titus welcomed our request that he visit you again. In fact, he himself was very eager to go and see you. 18 We are also sending another brother with Titus. All the churches praise him as a preacher of the Good News. 19 He was appointed by the churches to accompany us as we take the offering to Jerusalem—a service that glorifies the Lord and shows our eagerness to help. 20 We are traveling together to guard against any criticism for the way we are handling this generous gift. 21 We are careful to be honorable before the Lord, but we also want everyone else to see that we are honorable. 22 We are also sending with them another of our brothers who has proven himself many times and has shown on many occasions how eager he is. He is now even more enthusiastic because of his great confidence in you. 23 If anyone asks about Titus, say that he is my partner who works with me to help you. And the brothers with him have been sent by the churches, and they bring honor to Christ. 24 So show them your love, and prove to all the churches that our boasting about you is justified. 2 Please open your hearts to us. We have not done wrong to anyone, nor led anyone astray, nor taken advantage of anyone. 3 I’m not saying this to condemn you. I said before that you are in our hearts, and we live or die together with you. 4 I have the highest confidence in you, and I take great pride in you. You have greatly encouraged me and made me happy despite all our troubles. 8 I am not sorry that I sent that severe letter to you, though I was sorry at first, for I know it was painful to you for a little while. What letter? This probably is not the letter of 1 Corinthians, but a letter that Paul wrote in between 1 and 1 Corinthians. It helps if we remember the sequence of events. Things were going badly among the Christians in Corinth, and in an attempt to get them on track, Paul made a quick, unplanned visit which only seemed to make things worse (the “sorrowful visit” mentioned in 2 Corinthians 2:1). After the failure of this visit, Paul decided to not visit Corinth again in person at the time, but he sent Titus to them, with a strong letter of rebuke. Paul was very worried about how the Corinthians would receive the letter, and if it would turn them to Jesus or just make them angry. But when Titus came back with good news from the Corinthian Christians, Paul was greatly relieved. 9 Now I am glad I sent it, not because it hurt you, but because the pain caused you to repent and change your ways. It was the kind of sorrow God wants his people to have, so you were not harmed by us in any way. 10 For the kind of sorrow God wants us to experience leads us away from sin and results in salvation. There’s no regret for that kind of sorrow. But worldly sorrow, which lacks repentance, results in spiritual death. Some Christians believe repentance means simply to “turn around” and go in the opposite direction. But the Bible tells us repentance is much more than this. 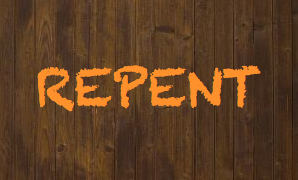 The full, literal meaning of the word “repent” in the New Testament is “to feel remorse and self-reproach for one’s sins against God; to be contrite, sorry; to want to change direction.” The difference in meanings here rests on the word “want.” True repentance includes a desire to change! Moreover, simply being sorry does not constitute repentance. Rather, true sorrow leads to repentance. 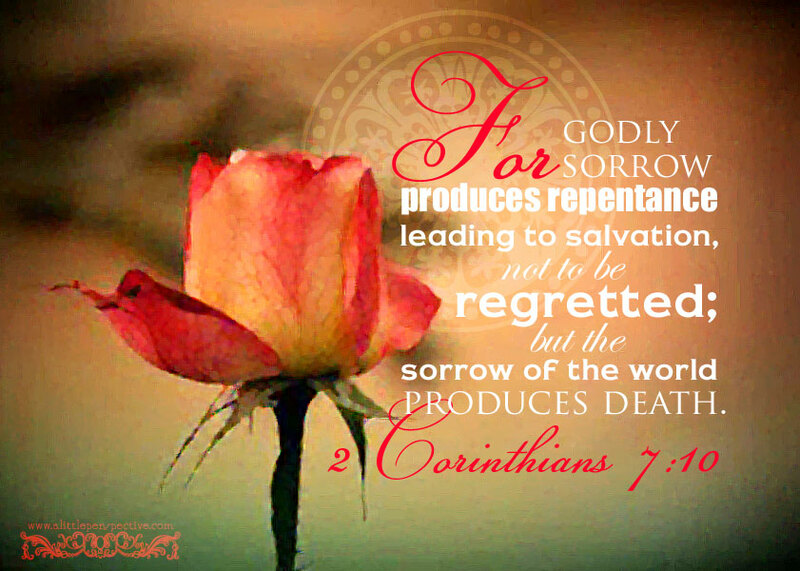 Paul states, “Godly sorrow worketh repentance to salvation not to be repented of: but the sorrow of the world worketh death” (2 Corinthians 7:10). Paul is speaking here of a sorrow that is without regrets—one that is genuine, that “sticks” in the life of the repentant person. This kind of godly sorrow naturally produces a repentance that includes a hatred for sin, a righteous fear of God and a desire to right all wrongs. 11 Just see what this godly sorrow produced in you! Such earnestness, such concern to clear yourselves, such indignation, such alarm, such longing to see me, such zeal, and such a readiness to punish wrong. You showed that you have done everything necessary to make things right. 12 My purpose, then, was not to write about who did the wrong or who was wronged. I wrote to you so that in the sight of God you could see for yourselves how loyal you are to us. 13 We have been greatly encouraged by this. In addition to our own encouragement, we were especially delighted to see how happy Titus was about the way all of you welcomed him and set his mind at ease. 14 I had told him how proud I was of you—and you didn’t disappoint me. I have always told you the truth, and now my boasting to Titus has also proved true! 15 Now he cares for you more than ever when he remembers the way all of you obeyed him and welcomed him with such fear and deep respect. 16 I am very happy now because I have complete confidence in you.